Thank you for rejoining this week as we continue our series, Rent Arrears and Eviction Procedures for Real Estate Management Professionals. Last week, you were presented with information on how to handle rent arrears and creating a policy regarding rent arrears. This week, we will learn how to handle an eviction. 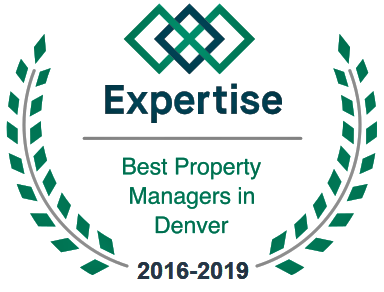 If you are a real estate management professional in Colorado, continue reading to learn all of the basics pertaining to evictions. First and foremost, you should understand that eviction should only be used as a last resort to the nonpayment of rent monies due by your tenant. Make every effort possible to obtain the rent through other means. Everyone that has to go through an eviction is challenged by the process – even the real estate management professionals initiating the process. Evictions should be non-personal and professional. They should follow all laws and necessary legal procedures, as outlined by the State of Colorado. If you have tried all means possible to collect payment from your tenant and have determined that an eviction is absolutely necessary, continue reading. If you have attempted to collect rent arrears, the tenant has been served a dispossess, no court date is sought by the individual in arrears, a court-appointed stipulation is violated, and a judge has ordered an eviction, the eviction process may be initiated for nonpayment. You should go by all legal processes in the issuance of an eviction notice to the tenant in your area. In most instances, this is a 72-hour notice that will allow the tenant one more opportunity to relinquish the arrears monies owed to you, or they will be expelled from the property that you own. If no response is issued and the arrears are not handled, the tenant will have a short amount of time to leave the property. At the end of the time frame, you will be allowed to take possession of the property and all of the contents, thereof. As a real estate management professional, the overall success of your business endeavors will depend heavily on the steps that you take to prevent problems from occurring, as well as your ability to solve the problems that you are presented with when it comes to your property and your tenants. You should place an emphasis on optimal tenant selection, focus on optimizing tenant relations, creating policies that are both clear and fair, and ensuring that your tenants know what is expected of them. Additionally, keeping detailed records, collecting rents in a professional and courteous fashion, and making every effort possible to resolve issues immediately are also helpful strategies to being a real estate management professional.